The Pink Hat Run, an event created to celebrate, congregate and motivate the power of community, was conceived by Springfield, Illinois Women’s March chair Jennifer Lee, who has pulled in three veterans of organizing to collaborate with her on this project: Cathy Seabaugh, who has raised millions of dollars through her charitable events in the U.S. and The Netherlands; Leni Manaa-Hoppenworth, who was a key organizer for the Illinois contingent of the Women’s March on Washington; and Tracy Baim, a 33-year veteran of LGBT activism, civil rights equality and journalism. Read biographies of the organizing team here. Lisa Ghisolf of Gizmo Creative Factory, Inc. If you’d like to volunteer to help at Pink Hat Run on November 4 or even before, please email the Pink Hat Run team. We would love the help. The 5K and 1Mile run, walk and roll provide charitable partners an opportunity to raise funds and build community. PINK HAT RUN will raise awareness of these organizations and spark activism for their individual causes. When designated by a PINK HAT RUN participant at registration, each charitable partner will receive $5 from the entry fee plus 85% of any pledges raised for their charity. The charitable partners will also benefit from visibility in the event’s online and print media campaigns. Contributions made through PINK HAT RUN are not tax-deductible. PINK HAT RUN organizers hope to see this event grow into a repeatable opportunity to build community and raise funds for local organizations supporting causes important to women. 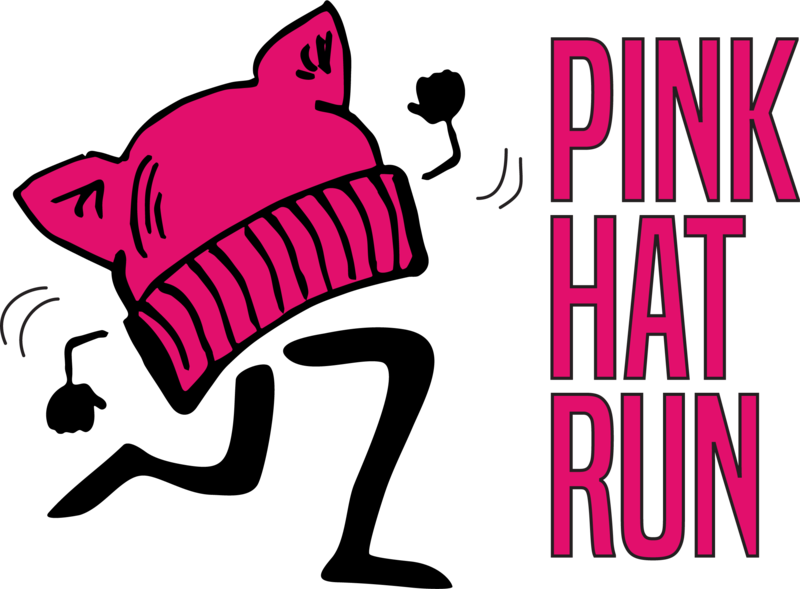 If you are interested in bringing the PINK HAT RUN to your city please contact us via email.